A Fornasetti table is the perfect synthesis of the artist’s vision: a perfect balance of functional design and visionary illustrations that bring new meaning to a common object. 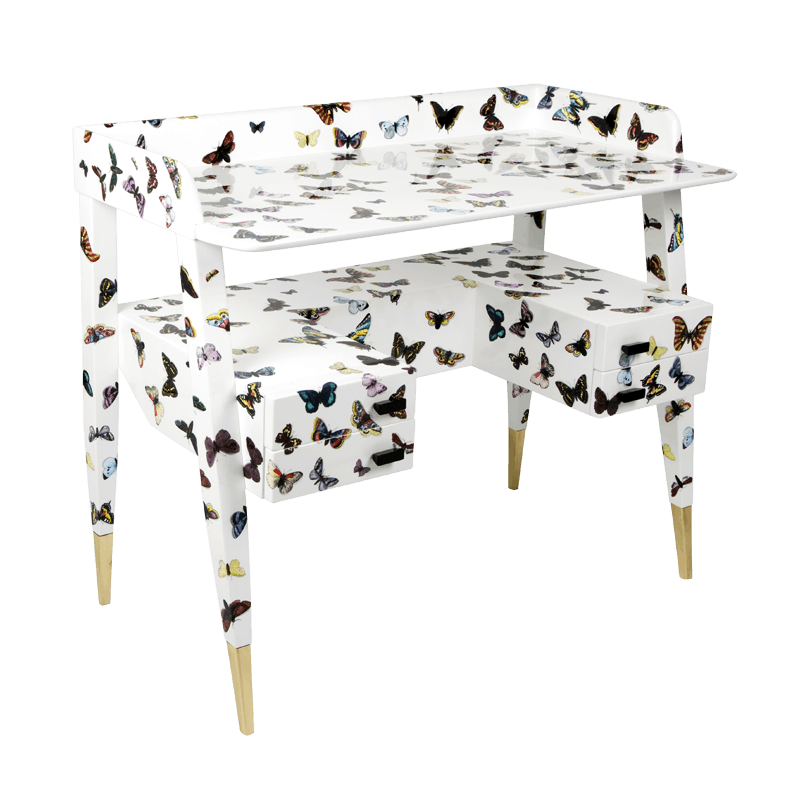 Sit at a Fornasetti table and you’re likely to reconsider reality from a different standpoint. Details — colour: colore su bianco, width: 92cm, height: 85cm, depth: 48cm.